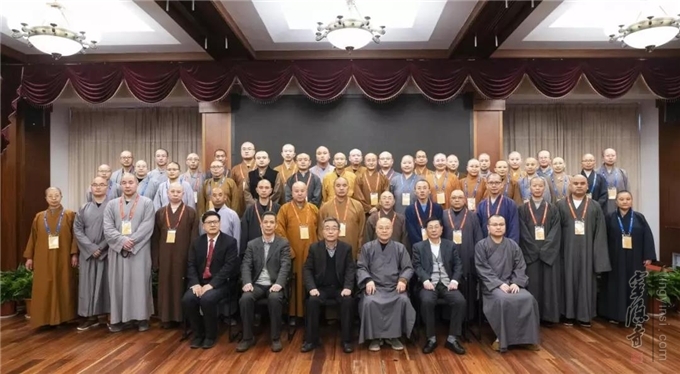 On March 28, the 2019 Chinese Buddhism Sutra Lecture Workshop for Buddhist Masters was held by the Buddhist Association of China, co-organized by the Buddhist Association of Hangzhou, and undertaken by the Chinese Buddhism Sutra Lecture Exchange Base and Lingyin Temple in Hangzhou. 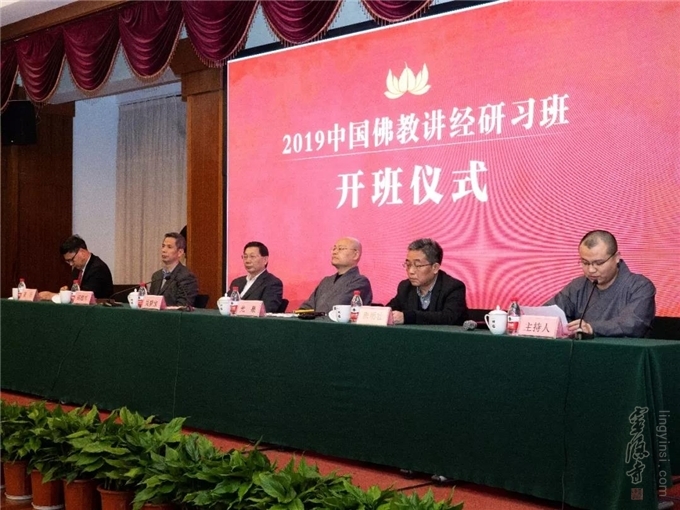 Distinguished attendees at the opening ceremony included the Director of Branch One of the Religious Department of the Ethnic and Religious Affairs Committee of Zhejiang Province Mr. Wu Mengbao, the Deputy Secretary General of the Party Group of Hangzhou Municipal Bureau of Ethnic and Religious Affairs Mr. Tang Mingzhuang, the Director of the Religious Department of Hangzhou Municipal Bureau of Ethnic and Religious Affairs Mr. Hu Shengjun, and the Director of the Chinese Buddhism Sutra Lecture Exchange Base and Abbot of Lingyin Temple Venerable Master Guangquan. 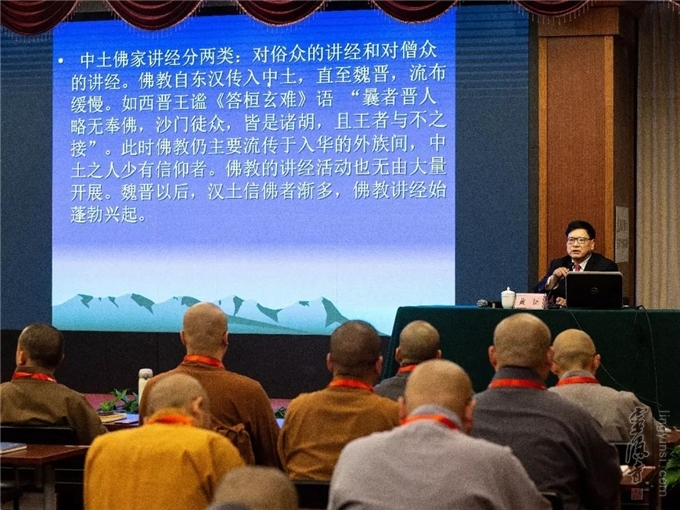 In his speech at the opening ceremony, Venerable Master Guangquan introduced the origin, lecturers, aims and significance of the workshop and encouraged the participants to make the best of this workshop and lay emphasis on both sutra learning and Buddhist practice in the spirit of benevolence, gratefulness and inclusiveness so as to make contributions to the promotion of Buddhism and the well-being of the mankind as a Buddhist talent with an international view. 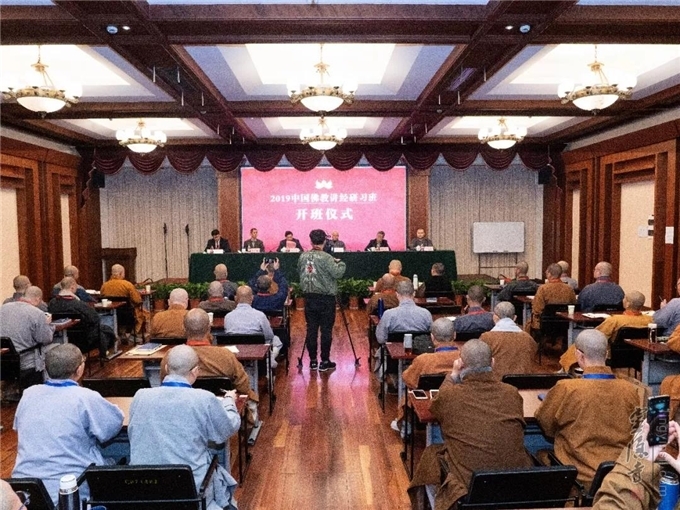 The workshop would last half a month, attracting 46 Buddhist masters from 18 cities and provinces across the country. 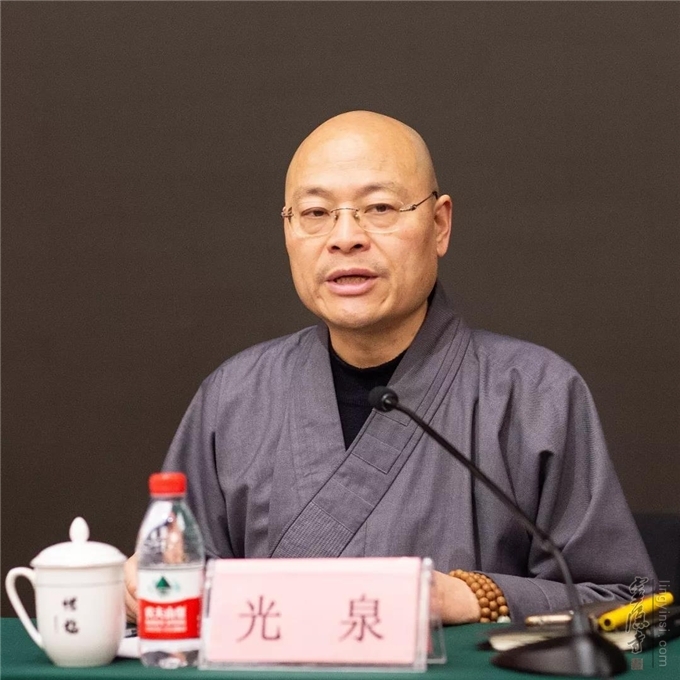 It included lectures and courses on Buddhist literature appreciation, classics reading, the history of Buddhism sutra lectures in the Tang and Song dynasties, communication and audience psychology, the promotion and practice of verbal lectures, knowledge of propagation in the age of networks, the means of promoting Chinese Buddhism, etc.